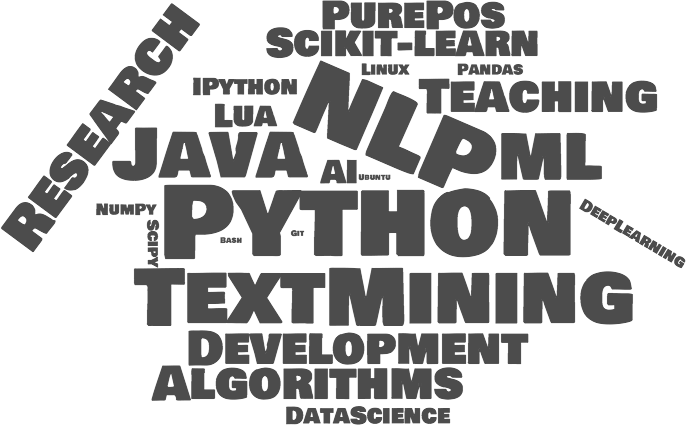 Machine Learning / Natural Language Processing engineer, Pythonista, husband, proud father. Working as a Machine Learning Engineer at LogMeIn structuring noisy textual data. Recently I've started co-organizing the Hungarian NLP meetup and adding Hungarian support for spaCy. © György Orosz, license unless otherwise noted. Generated by Pelican with crowsfoot theme.